"Fame is but a fruit tree so very unsound. It can never flourish till its stalk is in the ground. Till time has flown far from their dying day. Strangley prophetic are these lyrics to "Fruit Tree" from the debut album by English singer-songwriter Nick Drake, who failed to find fame and fortune during his brief lifetime, only to be rediscovered and canonized by leagues of young, aspiring musicians years after his death. It seems unjust that Nick was denied the recognition he so much craved for while he was still alive. Yet it all makes so much sense, considering his introspective and elusive nature, his uncommunicative concerts, during which he didn't say a word and rather would be busy retuning his guitar in between songs, barely looking up and occasionally simply leaving the stage if the audience failed to pay the attention to him that he himself didn't seem to demand. Nick Drake wasn't destined to be a star but why his work did not even attract a cult following until years after he died, is inexplicable from today's point of view. Certainly his albums didn't sound any less beautiful and haunting than they do now. 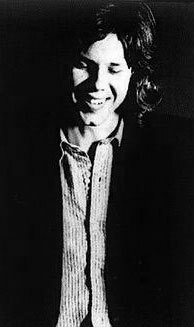 Nick Drake was born June 19, 1948 in Rangoon in Burma, only half a year after the country had gained independence from the UK. In 1950 Rodney and Molly Drake returned to England with their children Gabrielle and the four years younger Nicholas to settle in a brick house called Far Leys in the rural village of Tanworth-in-Arden in Warwickshire. It was a musical family Nick was born into. Mother Molly wrote her own songs, in which some see an important early influence on Nick's own writing. Nick himself learned to play the piano, the clarinet and the saxophone at an early age before finally settling with the acoustic guitar as his main instrument. A self-taught player, he would experiment a lot with alternative tunings. Often he would practice several hours a day (or night) to improve on his complex fingerpicking techniques and soon began to write his own songs and record them on the family's tape recorder. In the spring of 1967 Nick went to Aix-en-Provence in France to study. The hippieish community of fellow-artists he frequented there had a positive influence on his writing. He began to experiment with drugs and for the first time performed his own songs in front of others. Most biographers agree that this was probably the happiest time in his life. Everything changed though when he returned to England to study English literature at Cambridge. Nick experienced London as impersonal and unwelcoming and found it difficult to connect with fellow students. Yet he soon began performing his songs in different venues around the town and in 1968 was heard by Fairport Convention founder Ashley Hutchings, who recommended him to producer Joe Boyd, leading to a recording contract for a debut album. "Five Leaves Left" was issued in September of 1969. Very few reviews were written, it sold poorly and radio airplay was practically inexistent. Later that year Nick ended his studies at Cambridge to focus entirely on his musical career. Sessions for "Bryter Layter" began in 1970. Boyd aimed for a more commercial sound than he had on "Five Leaves Left". Ironically at the same time Nick's excessive use of marihuana and possibly other drugs lead to further retreat into reclusion. The album was released on November 1, again to almost uniform indifference from press and public. Nick's behaviour didn't help. His concerts were impersonal and interrupted by pauses when he retuned his guitar or just sat there staring into space. He generally refused to talk to reporters except for one interview, published in Sounds. In the preface interviewer Jerry Gilbert writes: "Nick Drake is a shy, introverted folk singer, who is not usually known to speak unless it is absolutely necessary." Nick was devastated by his second album's commercial failure and when Boyd left for Hollywood, depriving him of his producer and manager, Nick sank even further into depression. Nevertheless he managed to record a third album in October 1971. In just two sessions, with the help of no one but engineer John Wood, Nick cut eleven songs, together less than half an hour in length, accompanied only by his acoustic guitar and one piano overdub on the album's title track: "Pink Moon". This time Island Records sent a full-page advertisement to all major music magazines, before releasing the album on February 25, 1972. "Pink Moon", just as its two predecessors, sold an insignificant number of copies and only few reviews were published in its wake. After the album's failure Drake returned to Tanworth-in-Arden to live with his parents. "I don't like it at home but I can't stand it anywhere else", he admitted to his mother. In 1974 he recorded five new songs in one last session with Wood and Boyd, who had returned from the States. On November 25 at around 6 o'clock in the morning Nick took an overdose of Tryptizol, a medicament he had been prescribed against his depression and went to bed. He wouldn't wake up again. Two articles about Nick were published in 1975, including Nick Kent's "Requiem for a Solitary Man" in the New Musical Express, which argued that Nick's death was no suicide but rather an accident. The tracks from the final recording session remained unpublished, in fact Island Records announced that they had been destroyed. Nick's albums remained available without getting any significant further attention. In the late '70s music journalist Rob Partridge got a job as an official at Island Records. He had seen Drake perform live in 1969 and decided that there should be a re-release of his entire recorded ouput. Thus in March 1979 a box set was published that contained the three studio albums as well as four tracks from the last session: "Fruit Tree". It sold poorly, yet all of Nick's albums remained in print. In 1985 The Dream Academy released "Life in a Northern Town". It was their breakthrough hit, made the top ten in the States, top fifteen in Britain, and it was dedicated to the memory of Nick Drake. The dedication would often be read out on air before the song came on, resulting in an increasing demand for Drake's records. Consequentially Island decided to put out a greatest hits compilation called "Heaven in a Wild Flower", which was greeted enthusiastically by the press. The rarities collection "Time of No Reply" was issued two years later. By the mid-90s numerous bootlegs of Nick's home recordings, often given to ardent fans directly by Nick's family, surfaced, and another compilation, called "Way to Blue", appeared. It was certified Gold by the BPI in 1999 and got enthusiastic press from both Rolling Stone and the NME. In 1997 Nick appeared on the cover of Mojo and an increasing number of artists started citing him as an important influence. In 2000 Nick's popularity grew even further when Volkswagen received permission to use "Pink Moon" in their new commercial "Milky Way" (directed by Jonathan Dayton and Valerie Faris of "Little Miss Sunshine" fame). The commercial did not only win numerous prizes from the advertising industry but also resulted in the first time Nick's music reached a mainstream audience. The "Pink Moon" album climbed to #5 on Amazon's sales chart. Its sales increased almost 500% during the first weeks of the year. In 2004 "Made to Love Magic", featuring remastered versions of tracks from "Time of No Reply" was issued and finished at #27 on the British album chart. Two singles were released from the album. One of them, "I Was Made to Love Magic", went to #32 in the UK, resulting in Nick's first top 40 hit almost forty years after his death. In 2007 "Family Tree", the first official collection of Nick's home recordings, was released. In 2013 all three of Nick's original studio albums were certified Gold by the BPI. Musicians who have cited Nick as an influence or have expressed admiration for his work over the years include Elvis Costello, R.E.M., Kate Bush, Belle & Sebastian, The Black Crowes, Everything but the Girl, The Cardigans, Beth Orton, M. Ward, Robyn Hitchcock, The Cure's Robert Smith, Television's Tom Verlaine, Dinosaur Jr.'s Lou Barlow, The The's Matt Johnson, American Music Club's Mark Eitzel, and many others. Nick Drake's debut album may be his most solid in terms of songwriting and arrangements. Among the most well-known tracks are "River Man" with its 5/4-meter and elaborate string arrangement, the almost poppishly catchy, yet melancholic "Way to Blue" and the seminal "Fruit Tree" but the other selections are just as strong. The double bass playing, courtesy of The Pentangle's Danny Thompson, and Robert Kirby's string arrangements provide a tasteful backdrop against Nick's nihilistic singing style. Also note English folk legend Richard Thompson stepping in on electric guitar for the opening track "Time Has Told Me". Conceived as Nick's most commercial album, "Bryter Layter" is the only one to feature a rock rhythm section of electric bass and drums on most of the tracks, provided by Fairport Convention's Dave Pegg and Dave Mattacks. Overall the album's sound is richer than that of "Five Leaves Left", resulting in an almost CSNYish vibe on "Hazey Jane II". Three of the ten tracks are instrumentals, beautiful, but not as essential as the seven songs, which are almost as strong as the ones on his previous effort. Highlights include "One of These Things First", "At the Chime of a City Clock" and especially "Northern Sky", the breakthrough hit that should have been. Ex-Velvet-Underground member John Cale provides viola and various keyboard instruments on "Fly" and "Northern Sky". Among the most sparse and melancholic albums ever recorded, "Pink Moon" features only Nick Drake and his acoustic guitar (and a piano overdub on the title track). It seems unfair to pick out highlights because the album flows so seamlessly from beginning to end, fragile and elusive, ending after only 28½ minutes. This is Nick's most unified album, and the one that best showcases his elaborate guitar style and tunings, as well as his unmatched ability to use voice and instrument as if they were completely detached from each other, even though they were recorded simultaneously. Opening with the dismal title track, the album closes with the most optimistic song in Drake's whole oeuvre, the beautifully haunting "From the Morning". As all three of Drake's albums are essential listening, the purchase of a 'best of'-album is quite frankly superfluous. Get one of the studio albums. If you like it, you're likely to enjoy the others as well. If for whatever reason you do want a 'best of', "Way to Blue" is the way to go. Originally issued in three volumes, Nick Drake's first box set contained his three studio albums, plus four of the five tracks from his final recording session. The set was reissued in 1986 now featuring "Time of No Reply" (see below) as a fourth disc. A 2001 reissue contained a DVD with the biographical film "A Skin Too Few: The Days of Nick Drake" in place of "Time of No Reply". The release of the "Tuckbox" in 2013 has rendered "Fruit Tree" unnecessary. 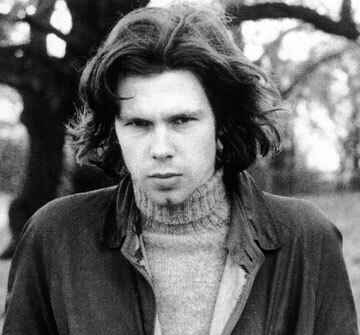 This is Nick Drake's first rarities collection. Three of the album's 14 tracks are alternate versions of songs from "Five Leaves Left" and "Bryter Layter", one is a cover of a Robin Frederick song. 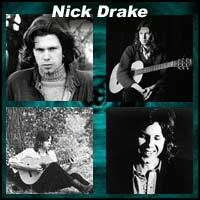 The rest are previously unreleased originals, which are abolutely essential for any Nick Drake fan. The album has been out of print since the release of "Made to Love Magic" in 2004, which has a similar track listing, though it contains different versions of "Time of No Reply", "I Was Made to Love Magic", "Mayfair" and "Hanging on a Star", and omits the alternate versions of "Man in a Shed" and "Fly", as well as the Robin Frederick cover and the Nick original "Strange Meeting II". All but two of the tracks feature only Nick on vocals and guitar. The most famous of Nick's unofficial releases, this features eighteen home recordings made in 1967 and 1968. The sound quality is clearly subpar and many of these recordings later appeared on "Family Tree" but this still holds some jewels that don't appear on any of his official albums, especially his take on Gershwin's "Summertime", one of the more eclectic versions of the standard out there. Originally released to replace "Time of No Reply" (see above), only six of the thirteen tracks actually appeared on the former album. Among the most interesting additions are a version of "Time of No Reply" with overdubbed strings, a demo version of "River Man" accompanied only by Nick on guitar, and, most importantly, the first release of the Drake original "Tow the Line", the fifth track from Nick's final 1974 recording session and thus the last song he ever committed to tape, which had been forgotten until it was rediscovered in 2004 by Joe Boyd. All but three of the tracks feature only Nick on vocals and guitar. So far the only official compilation of Nick's home recordings on the market, "Family Tree" collects many of the songs that had previously only been available on bootlegs. The omission of Nick's versions of "Summertime", the Rascals' "Get Together" and Blind Boy Fuller's "My Sugar So Sweet" is inexplicable though, considering there would have easily been enough room for them. Most of the songs here are covers but five originals, previously unavailable on any of the official releases, managed to sneak in: "Leaving Me Behind", "Blossom Friend", "Bird Flew By", "Rain" (aka "Strange Meeting I") and "To the Garden", of which two different versions are included. Some tracks, like a version of Mozart's Kegelstatt Trio featuring Nick on clarinet, accompanied by his aunt and uncle, and a short, awkward piano take on "Paddling in Rushmere", probably should rather have been omitted but some gems are to be discovered as well, especially a recording of the traditional "All My Trials" with Nick's sister Gabrielle on harmony vocals. This also features two songs by Nick's mother Molly, an interesting addendum to Nick's own tapes. Easily the cheapest way to acquire the bulk of Nick's recorded output, the 5-disc "Tuckbox" includes "Five Leaves Left", "Bryter Layter", "Pink Moon", "Made to Love Magic" and "Family Tree" for a bargain price. Of course this is still missing some of the tracks from "Time of No Reply" and a lot of the bootleg recordings, but if you know you want it all, this is going to be your first purchase. 100 Greatest Folk Rock Recording Artists - #17. 100 Greatest Rock Music Lyricists - #46. 100 Greatest English and Celtic Folk Recording Artists - #13. 100 Greatest International Rock Artists - #26.